This year's Oxford Lieder Festival starts on 13 October 2017, and the festival theme is The Last of the Romantics: Mahler and Fin-de-Siecle Vienna. The festival's founder and director is Sholto Kynoch, who balances festival directing with a busy career as a pianist and accompanist. I recently caught up with Sholto by telephone to find out more about this year's festival. Although the complete Mahler songs are being performed at the festival, there are only 45 in total which allows the festival planning to take a more broader scope than previous years when the complete Schubert and complete Schumann songs were performed. So this year Mahler is the starting point for a wider exploration, looking both forward and backward. Sholto explains that though Mahler was an influential figure, he was sometimes accused of being somewhat backward looking, yet his own music can be remarkably forward looking, not to mention his championing of new music. So the festival will be including songs by Mahler's contemporaries, Zemlinsky, Wolf, Brahms and the young Schoenberg, as well as looking ahead to the mature Schoenberg and Richard Strauss. They will also be looking back, and devoting time to Schubert's songs as well. The whole will reflect the melting pot that was Vienna at the end of the 19th century. This is the fourth festival that Sholto has done on this scale, with every day packed with events, enabling people to really immerse themselves. So the format this year has not been changed significantly as they have realised what a good format it is. The basic structure is to have lunchtime concerts, early evening rush hour concerts, the main evening concerts and some late night concerts, with lectures and study events in the morning. The rush hour concerts are devoted to chamber music and Sholto comments that this year's chamber music line-up is almost a festival in itself. The chamber music programme is designed to feed back into the rest of the festival. So on the first Tuesday of the festival (17 October) there is a day devoted to Late Brahms, looking at the period when he came out of retirement to engage with the clarinet. 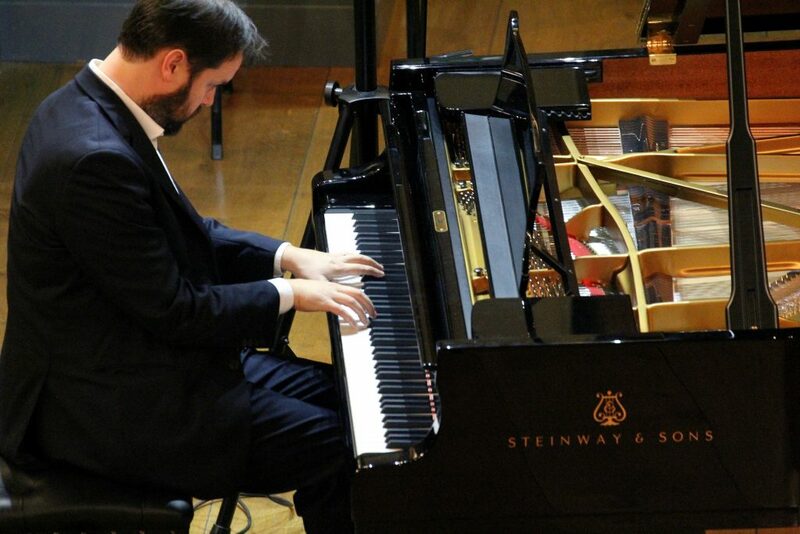 There is a morning lecture, and a rush hour recital which includes the Brahms and the Zemlinsky clarinet trios, whilst at lunchtime there are performances of the Brahms Four Serious Songs and in the evening Benjamin Appl and Graham Johnson will be performing a programme including Brahms' Op.32 songs. With any large festival, coordinating all the events is something of an art and programming does not always fall into place perfectly, but this year Sholto feels that things have fallen into place well. There are a few days of which he is particularly proud, where a theme runs through the whole day. On the first Sunday of the festival (15 October) there is a screening of the 1926 silent film of Der Rosenkavalier (directed by Robert Wiene) with the Orchestra of the Age of Enlightenment, conductor Thomas Kemp, performing Richard Strauss's own score for the film. Sholto informs me that Strauss himself conducted the score at a showing of the film in London at the Tivoli Theatre in the Strand. Sholto feels that this will be a spectacular event, and is the first time it has been done in the UK for 20 years. Also that day, there is the narrated recital, My Dearest Hedgehog created by Henrietta Bredin, about Strauss and his wife, whilst Matthew Sweet will be leading a discussion on the history of music in silent films. With an offer from Mark Padmore and Imogen Cooper to do a recital of music by Schumann and Faure including La bonne chanson, (19 October) Sholto was pleased to be able to surround this with related events. So the lunchtime recital links to the 150th anniversary of Baudelaire, with settings of Baudelaire by Alban Berg (The Lyric Suite) and Debussy, with the Berg being played by the Doric Quartet who also give the rush-hour recital. The final Friday (27 October) of the festival is another departure from the main them, a Russian day commemorating the Centenary of the end of the Russian Revolution, almost to the day. Katherine Broderick sings Russian romances at lunchtime, pianist Alexey Karpeyev plays music by Stravinsky, Prokofiev and Rachmaninov written between 1911 and 1917. 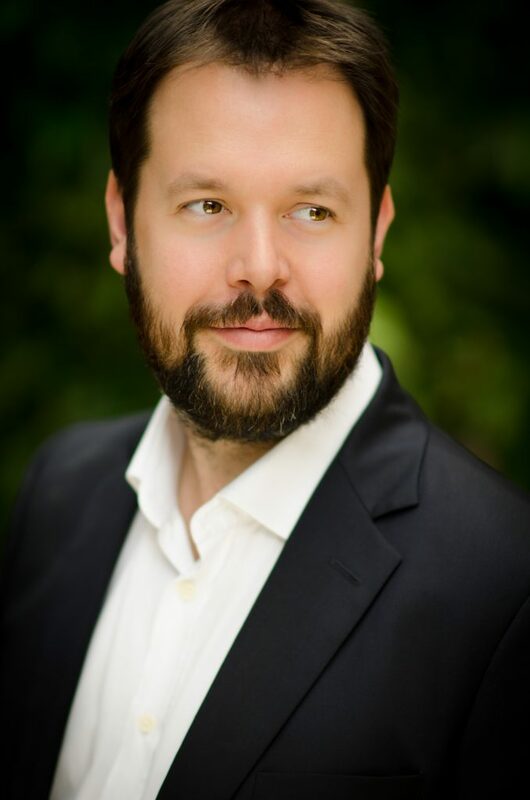 In the evening, baritone Andrei Bondarenko (winner of the Song Prize at the 2011 BBC Cardiff Singer of the World) sings an evening of Tchaikovsky songs, with soprano Ilona Domnich performing a late-night event of Rachmaninov songs. Sholto feels that after two weeks almost fully immersed in late 19th century Vienna, it is good to finish with something completely different. Sholto has to balance his own playing with directing the festival, which he admits is very tricky, but that as festival director he is wonderfully well supported by a fantastic team which is responsible for putting the nuts and bolts of the festival together. It is certainly not at all a one man show. But, he always wants to play he lot of the repertoire in the festival, after all he has programmed what he wants and who he wants, so inevitably he ends up playing for more festival events than he means to. This means that he was to frantically prepare in advance (when we speak on the phone he is in the middle of this process). He is also busy with other things, and is about to go off to do a CD recording with Anna Stephany and to Barcelona for a the Life Victoria festival where he will be giving a concert and four masterclasses, and then it is back for the festival. He agrees that all this is tricky to balance, (especially as he and his wife now have a one-year-old child) but he likes have the mix of both things in his life. Looking further ahead, they have festival themes in place for the next three years, and Sholto assures me that there are some excellent things to look forward to. The Oxford Lieder Festival runs from 13 - 28 October 2017, full information from the festival website.